This is a look at 3 Axle Streetcars. 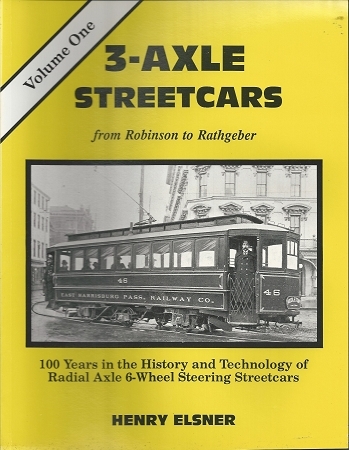 Includes the Robinson Radial Car, it's development and use, the decline in use of the Robinson 3 Axle Trucks, 2 axle radial trucks, European use of radial trucks, Swiss use of 3 axel trolleys and more. Many photos.